Most of you are already aware that Access 2010 lets you create "web-enabled" databases that can be published to a SharePoint server that is running Access Services. Of course, many of you don't have such a server just sitting around, so that's where hosting services such as AccessHosting.com come in. They have their own blog where you can learn more about the service. 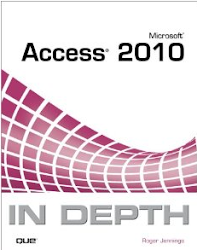 AccessHosting has announced some improvements for 2011, such as a new control panel for administration of account passwords, support for SharePoint Designer outside of Access Web Databases, and the "Access Services 2010 Virtual Appliance" which provides a turnkey cloud-based solution for customers requiring dedicated server performance and features. All their plans are offered on a free trial basis for 30 days, so if you've never clicked the Publish to Access Services button, you should give it a try. More information about web-enabled databases is also available in the Office.com article Build an Access database to share on the Web.